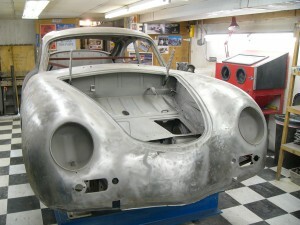 Jim has been working on the ’59 Sunroof coupe. He has put in the tan upholstery and oatmeal carpet. It looks very nice. Here is what we started with.